José Francisco Rivas Valencia owns a land development company in Colima, Mexico. He lives 7,600 miles from Greg King, a GIS consultant based in Brisbane, Australia. Yet Rivas and King meet once a week in an online virtual classroom—sometimes as computer avatars—as they pursue a Master of Professional Studies in Geodesign degree from a school located thousands of miles away from both of them: Penn State World Campus, based in State College, Pennsylvania. In its broadest sense, geodesign combines the art of design with the science of geography to incorporate stakeholder input, creative design techniques, rigorous methodologies, spatial analysis, and mapping. A practitioner uses geodesign methodology to find the most suitable, environmentally friendly, and sustainable option for real estate development, agriculture, wildlife conservation, transportation, flood control, and many other applications. ArcGIS for Desktop, GeoPlanner for ArcGIS, and ArcGIS Online are used in these programs. They help students analyze data and visualize the impacts of their designs. Penn State has designed a program that takes advantage of online education, which is being increasingly embraced by universities. The students and faculty use Skype, Yammer, and 3D immersive collaboration software, such as Terf, to communicate and collaborate on joint class assignments or review each other’s work. Rivas and King created avatars that bear a remarkable resemblance to their real selves. Last spring in a 3D classroom, they used these avatars when presenting their final projects for a course. Avatars of fellow students clapped after each presentation and listened to feedback from their instructors. Students find the virtual conversations to be a very valuable part of the class. King thought the avatars brought a sense of realism into the classroom. “[It’s] almost like actually being in a discussion with someone personally,” he said. Penn State’s online geodesign education program was designed for the working professional like Rivas and King. Each man keeps a busy schedule and sought out an online master’s degree program in geodesign. King opted for an online geodesign degree program rather than taking an individual, elective geodesign course at a nearby college that was offered as part of a degree program. “Without Penn State offering geodesign as part of the World Campus, I wouldn’t have the ability to study geodesign,” King said. The program offers an opportunity to learn a planning and design methodology that takes into account the design proposal area’s environment, factors such as social and economic sustainability, and the people who live there. It also adds spatial analysis into the equation. King said he learned a design principle long ago that stressed that the design of an entity can’t occur in isolation. “As every building/entity/community interacts with its surroundings, the design process needs to involve the surrounding areas,” he said. King works for an engineering firm that encourages innovative planning and design for any project. He hopes that he will gain a better understanding of how GIS results are interpreted for design purposes. 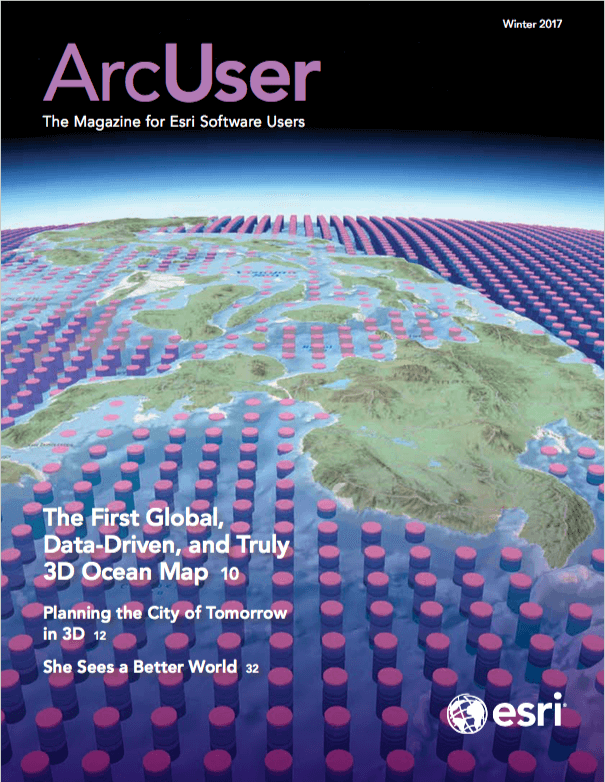 “As geodesign is a new discipline, getting involved now lets me contribute to its development. Opportunities like this are quite rare,” King said. “This geodesign program has all of what I was looking for: balance between theory and practice, an innovative approach to the urban planning and design process, a new perspective on the online teaching process, and time flexibility,” said Rivas. Rivas owns Ryval Constructora, a construction company in the City of Colima, located south of Puerto Vallarta and about 62 miles inland from the Pacific coast of Mexico. His firm focuses on land development and establishes joint ventures with other companies and housing developers, which build the homes. Rivas wants to use geodesign methodology and tools to pursue sustainable land development practices in the city and the state of Colima. “We have a very small state and a small city but with a lot of urban challenges and opportunities due to strategic location in our country,” Rivas said. He said that housing in Colima is often being constructed with no balance between different types of land use, no projection for economic development of the surrounding areas, and no consideration for creating a sense of community among the inhabitants. “I think it is urgent to change this development model,” Rivas said. A geodesign methodology will help Rivas’ team, local officials, consultants, would-be clients, and the people who live nearby to better collaborate, resulting in social, environmental, and economic sustainability.